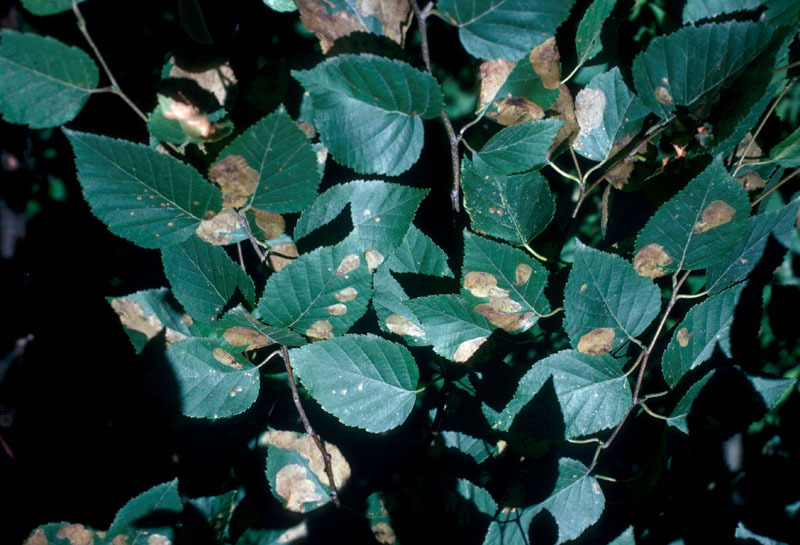 The presence of small, light-coloured blotches on the upper surface of leaves in July and the browning of the foliage later in the season are characteristic of attacks by the ambermarked birch leafminer. 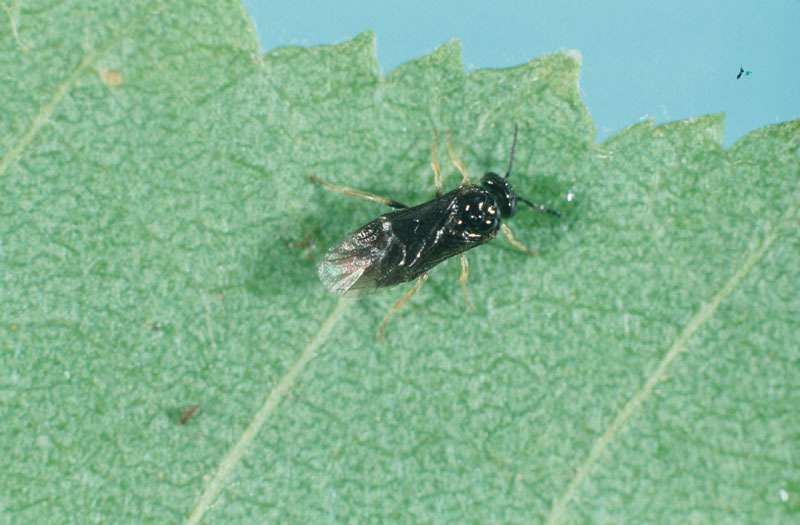 Depending on the severity of the damage to the foliage, the weakened tree may become more susceptible to other insects, but generally does not die from attack by this leafminer. The ambermarked birch leafminer has only one generation each year. 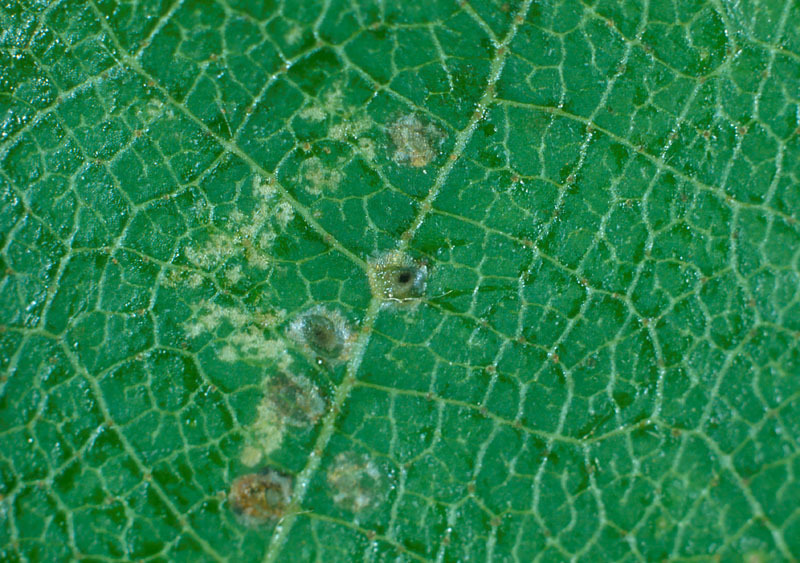 The eggs are laid inside the leaf. 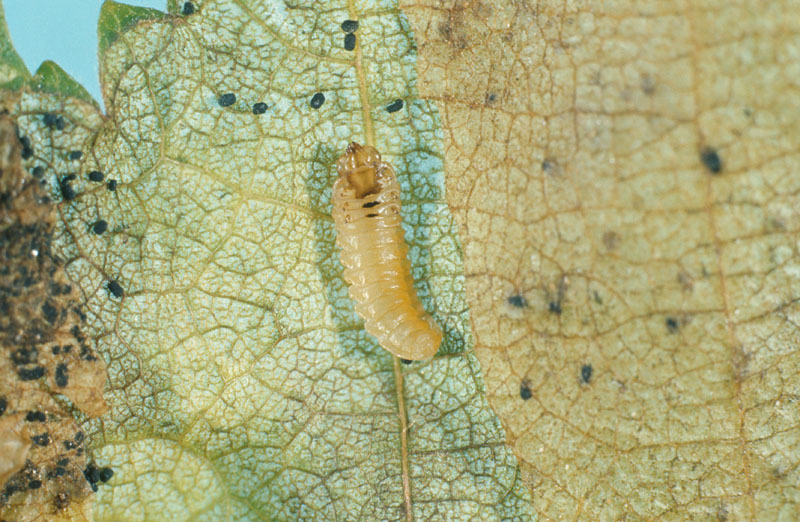 On hatching, the larvae begin mining the leaves, feeding on the interior tissue, causing them to turn brown. When fully grown, they leave the mines, drop to the ground and construct cocoons in which they overwinter. Long known in Europe, the ambermarked birch leafminer is probably an introduced species and, until 1955, it was confused with the birch leafminer in Canada. First reported in Quebec in 1959, this insect occurs throughout Canada. 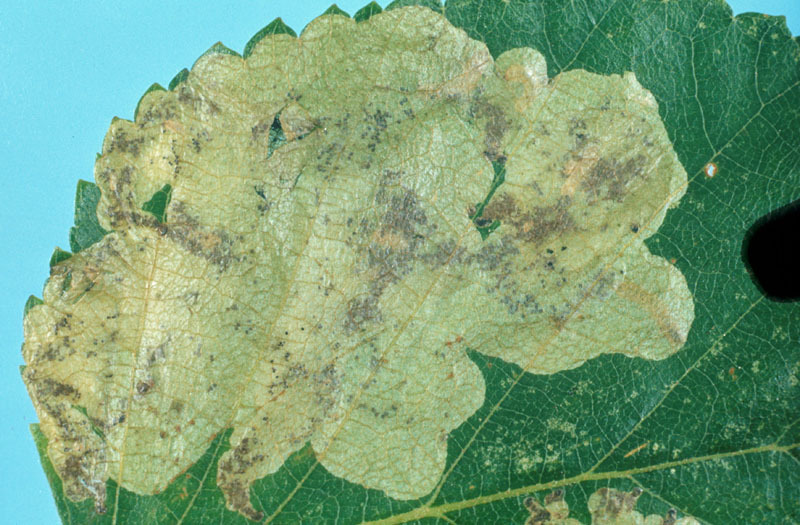 The ambermarked birch leafminer prefers shaded or semi-shaded foliage on small trees. 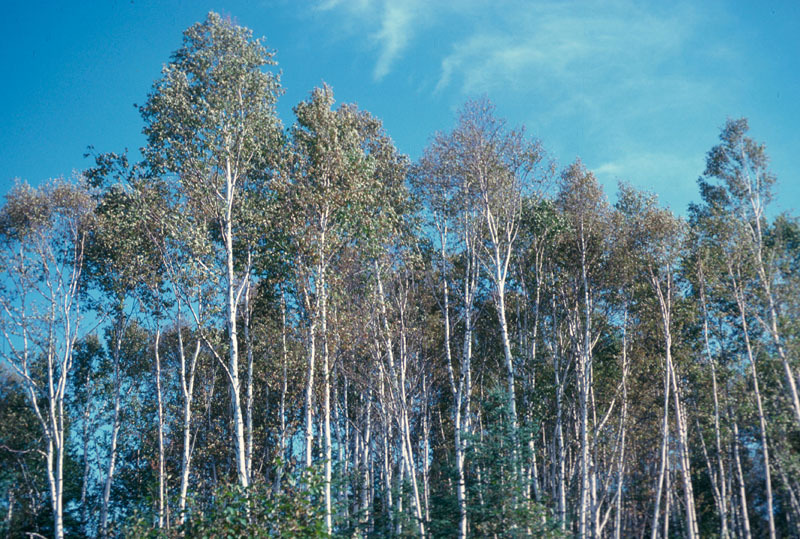 Open-growing ornamental birches are generally less susceptible to attack by this species. Large numbers of larvae in mined leaves result in a shortage of food, which quickly puts an end to an infestation. Because the damage occurs late in the season and because even a severe infestation seldom lasts more than one year, control measures are generally unnecessary.